This is a very short video showing me enabling colour on the Acorn Electron vintage microcomputer. For some reason that I can’t fathom, the video out port is black and white! 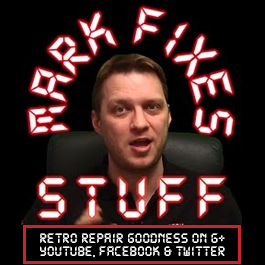 This video shows how to fix (or rather “turn on”) the colour, so that you can use the Acorn Electron with RCA and SCART on a modern TV. It requires soldering a link, although I have taken this a little further and used a jumper block so that the effect is easily reversible.